Porsche has earned an incredible reputation since it designed and built its first model, and over the years it just keeps impressing serious drivers by delivering the power and performance they want and need. With multiple models to choose from that offer insane amounts of horsepower, torque and razor-sharp handling, it’s easy to find a used Porsche model for sale in Newport Beach, CA when shopping for one at Phillips Auto. To help you get a better feel for what some of the more popular used Porsche models are, keep reading to see which ones made the list of top four best models. Porsche 911 Carrera S – This is one of the most affordable Porsche models in the company’s arsenal. With multiple engine options to choose from and a great list of performance features, technology features and comfort options to choose from, it’s easy to see why it’s a top choice for an affordable sports car. Porsche 911 Turbo – This powerful Porsche is another one of the most popular sports cars in the Porsche lineup. Its reputation for outstanding performance on the road and incredible driving dynamics has helped make it one of most sought-after vehicles in the world. Porsche Cayman GT4 – This incredible performing used Porsche model has been designed and built to be a true driver’s car as it has been given an incredibly powerful engine that delivers amazing power and torque. 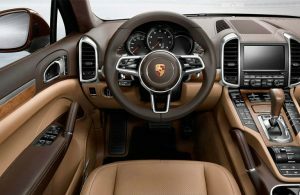 Porsche Cayenne – This Porsche model is a high-performing crossover SUV that offers a lot of horsepower and incredible driving dynamics while also providing an incredible amount of interior technology features, luxurious comfort options and excellent versatility.